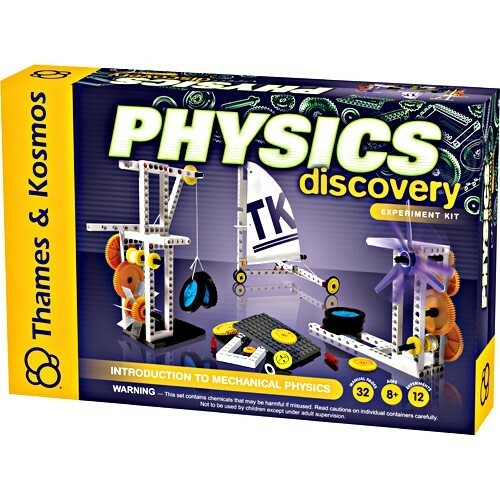 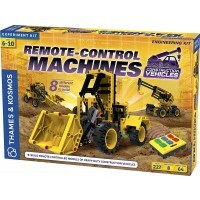 Each of the 12 machine models available to build with the Physics Discovery Science Kit by Thames & Kosmos demonstrates a fundamental idea in mechanical physics. 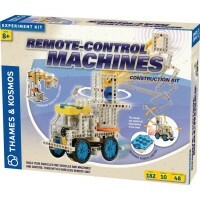 Construct 12 models and conduct science experiments with them to learn about physics, forces and simple machines. 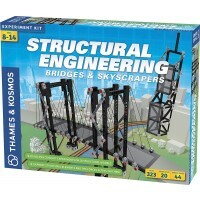 Each model from this highly educational Physics Discovery Science Kit by Thames & Kosmos demonstrates a fundamental idea in mechanical physics. 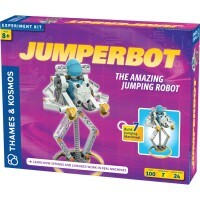 For example, you can build a balance scale to learn about lever arms, a freight elevator to learn about pulleys, and a bicycle to learn about wheels. 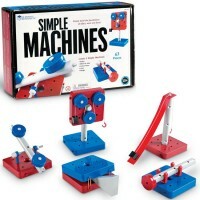 Construct a spinning motion picture machine to learn about centripetal and centrifugal forces, and a geared transmission to learn about gears. 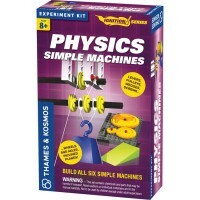 Build a simple spring scale to measure the forces acting on your models and an inclined plane to learn about normal force and gravitational force. 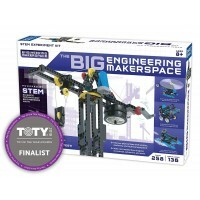 Make a water wheel powered crane and a catapult to learn about the transfer of energy. 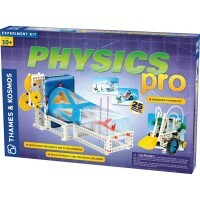 Finally, put your physics knowledge to the test by building a sailing land yacht and a rubber band powered dragster. 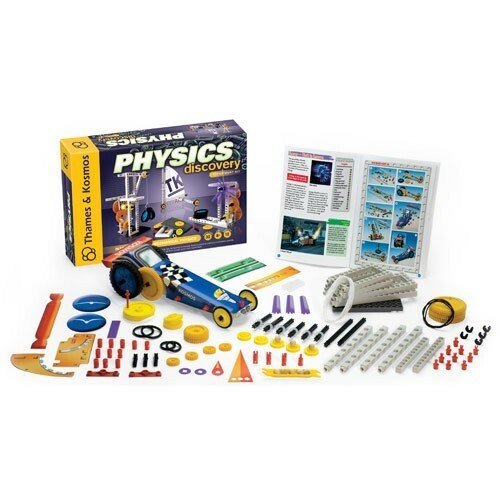 The Physics Discovery Science Kit features a 48-page science booklet with the detailed illustrated instructions for the building projects and experiments. 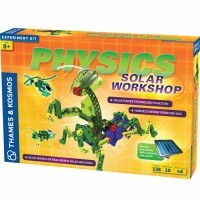 Educational Toys Planet's Physics Discovery lab kit for kids uses parts that are compatible with all of Thames & Kosmos Physics and Construction kits. 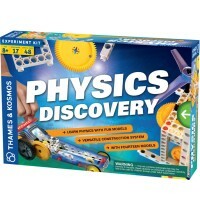 Dimensions of package 0.131" x 0.089" x 0.026"
Write your own review of Physics Discovery Science Kit.